AIGA’s chapters allow our members to form powerful social and professional bonds through conferences, competitions, lectures and community events. Get engaged and get involved. Connect with a chapter in your area! *Conditions of use: This listing shall be used for individual, personal and confidential reference purposes only, and may be used only pursuant to the terms of this license agreement. This content is a proprietary product of AIGA. The contents may not, in whole or in part, be reproduced, copied, disseminated, entered into a computer database, used as part of or in connection with a mailing list, or otherwise utilized, in any form or manner or by any means, except for the user's individual, personal and confidential reference. AIGA actively pursues violations of these conditions. Why should I join AIGA? Membership in AIGA means belonging to a national group of more than 22,000 dedicated colleagues, all working to advance design. AIGA’s 70+ chapters across the U.S. serve their local design community through a variety of conferences and professional development opportunities. See what’s happening in your neighborhood. 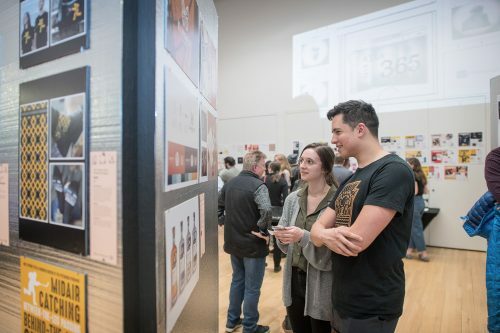 AIGA student groups get students involved in the local design community, create a community of their own and help them build leadership skills. Establishing an AIGA chapter is not an activity to be undertaken lightly. The strength of the organization as a whole depends on each chapter creating and sustaining an active, growing presence in its community. To initiate a chapter, the following steps must be taken. The Chapter Advisory Council (CAC) is made up of seven recent AIGA chapter board leaders with distinguished service to their chapter and AIGA. They act as a resource to support both chapter board members, AIGA HQ, and National Board regarding chapter/board issues, institutional knowledge, and leadership guidance.